-Heat the oil in the deep frying pan or wok, add the squids, prawns, sugar, light soy sauce, salt and pepper. Cook in high heat for approx 3-4 minutes. Transfer the squids and prawns on the plate-set a side. Do not wash the pan. -Put the same pan back on the hob. Add the water, fish sauce, chopped red chilli and sugar. Stir gently and bring it to boil. Add the lemon juice and simmer for 10 minutes. -Cook the cup noodles according to the instruction on the package. 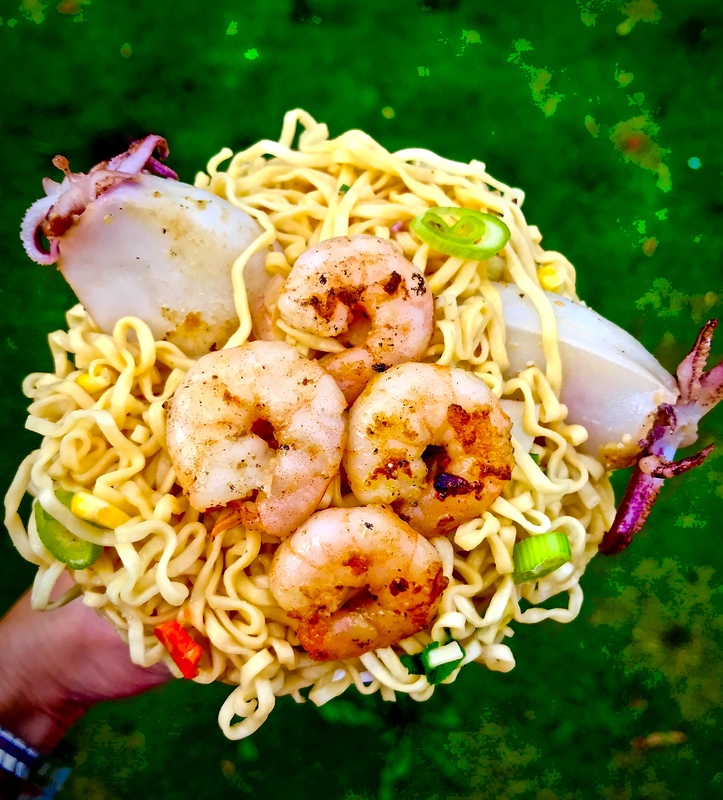 -Once the noodles soften, pour the noodles soup, cooked squid, prawns and a pinch of salt into the flavouring broth which you prepared. 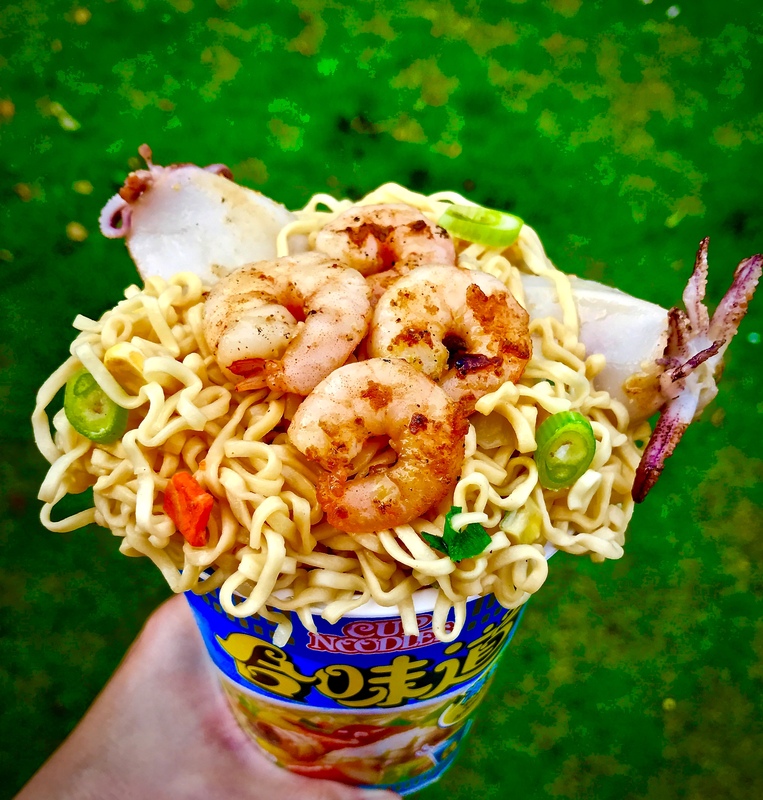 -Transfer the Seafood Cup Noodles Soup into the serving bowl. Garnish with sliced spring onion and serve immediately. -Ask your fishmonger to prepare the squids and prawns for you. -Feel free to add some vegetables i.e. Pak choi, Beansprout or Sweetcorn for more nutritions and crunchiness in this Cup Noodles Soup. -You can replace the seafood with chicken or vegetables. Adjust the cooking time accordingly as the chicken will need at least 7 minutes to cook.